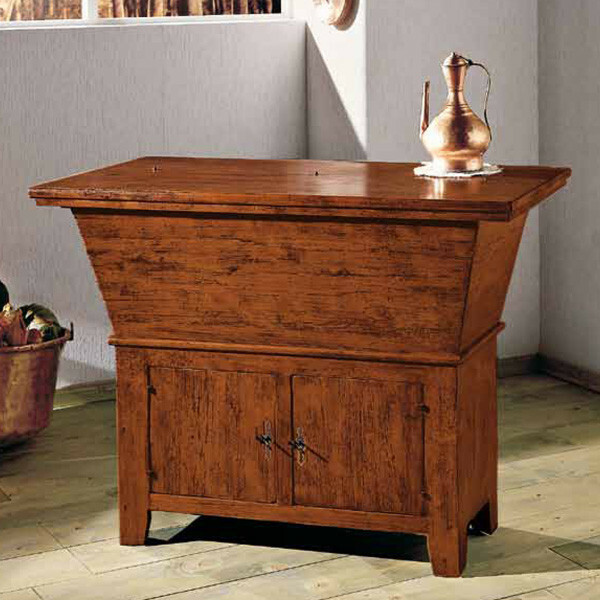 Sideboard with flap door, made of solid poplar wood with classic style. Amiata sideboard is beautiful capacious and solid, its straight and simple lines make it perfect for decorating the home with classic style. Classic and traditional sideboard made of solid poplar wood, is composed in the bottom with two doors with lock and key and in the upper with the classic flap door. Amiata sideboard is available in classic walnut color.